These beaded bracelets come in assorted colors and are made by indigenous artisans in Guatemala. They come in several styles and designs. 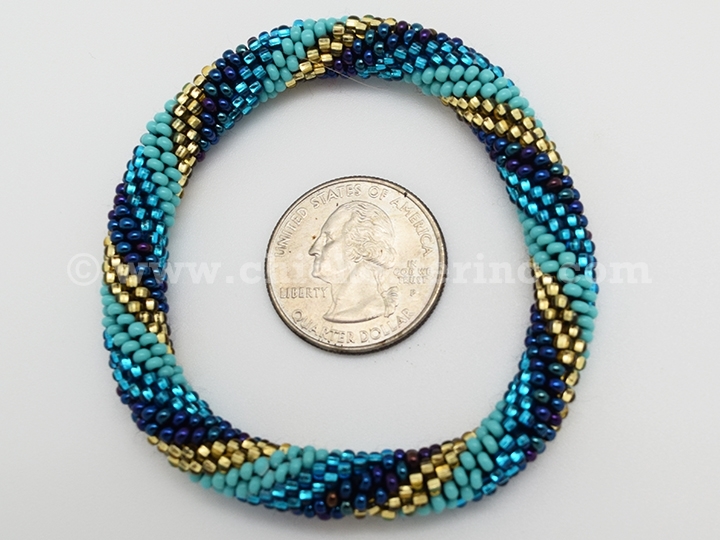 We may not have multiples of the same color as each bracelet is handmade. Please call us if you have a color preference. 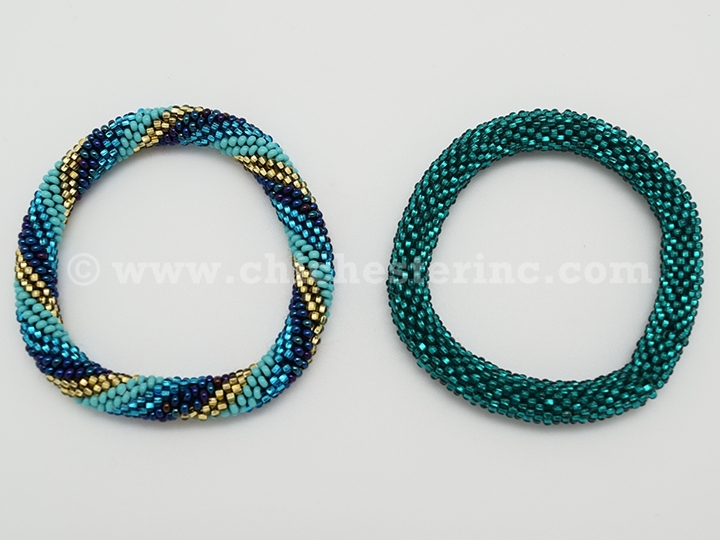 We measured one Croshe bracelet to be 2.5" wide with a 3.5" diamter, and weighing 0.3 oz. The other styles measure 7.5" to 8.5" long by 0.25" to 1.5" wide.